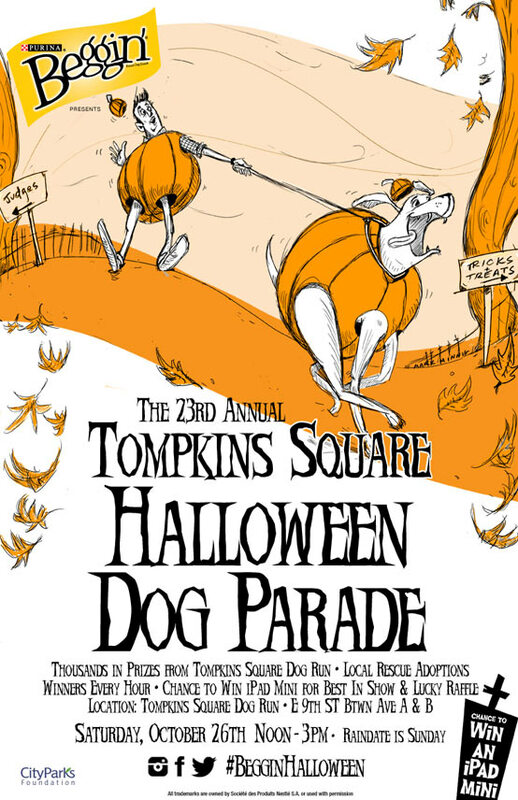 The 23rd Annual Tompkins Square Halloween Dog Parade will take place on October 26, 2013. It kicks off at noon. As part of the early tradition, there will be tons of prizes for dogs in costumes. Put your best foot or should we say paw forward and head out to the parade. We’ll be taking tons of pictures in search of our featured pet pic of the day! East 9th Street between Avenue A & B. Are you excited for the parade? Next Is it Friday Yet?